Following, is an excerpt from pages 16-17 of "Eight Generations," by William Kelley Prentice, 1947. In 1645 or soon afterwards Henry Prentice accquired the "i ackr" of land in Westend, Cambridge, which had been allotted to Guy Bambridge in 1634. It was near a town gate, and faced on "the ancient path" leading from Charlestown to Watertown. 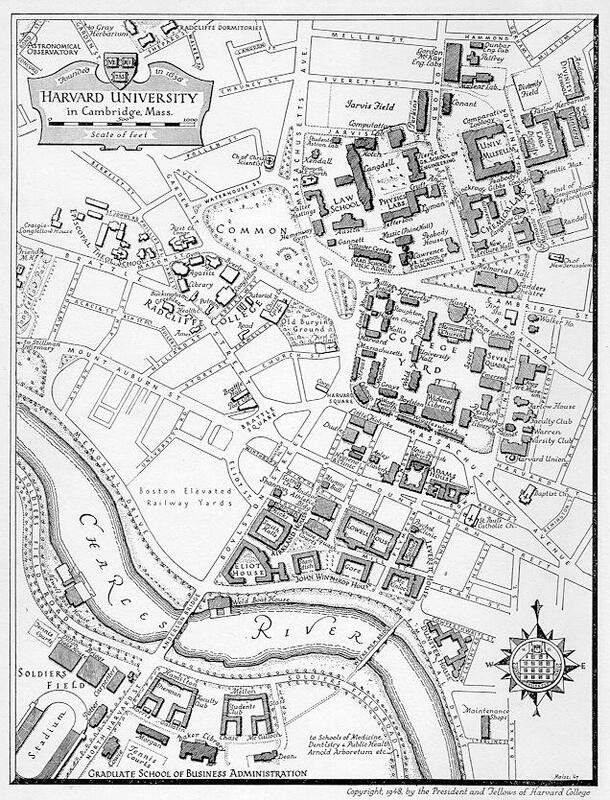 Here Bambridge had built himself a house, protected by a palisade against Indians and wolves, on the site where "Fay House" now stands, on the present Garden St., near the corner of Mason, a quarter of a mile northwest of Harvard Yard and opposite the middle of the southwest side of what is now the Common. When Bambridge died in 1645 his widow soon went to live in a less exposed part of the settlement, exchanging her property by the town gate for a house belonging to William Towne on Water St. From William Towne then Henry Prentice bought the house which Bambridge built: if he was the Henry Prentice of Stewkley, he was then about thirty- five years old; his first wife, Elizabeth, had died, he had married his second wife, Joan, and his oldest living child, Mary, was a baby. Solomon1, and the four younger children of Henry were born there. Henry died there, in 1654. Some time later the oldest son, Solomon1, built for himself another house, a little farther out on Garden St., near Waterhouse St., which was still standing in 1883; but the other children continued to live in their father's house, at least until their mother married John Gibson in 1662. This house, which Henry Prentice bought about 1645, remained in the possession of his family for more than a hundred and fifty years, and was known as "the old Prentice house." His youngest son, Henry, born about 1651, lived in it apparently for all his life. John Prentice1 (1683-1742), a son of Henry Jr., lived in it, and after him, his son Henry, born in 1711 and called "the cooper." In 1784 Henry the cooper sold the house to his son John (1744-1808) for 120 pounds. This John graduated from Harvard College in 1766, and in 1772 removed to Londonderry, N. H., where he had a distinguished career. He allowed his younger brother, William, to live in the old house, and during William's occupancy the building deteriorated so much that finally the roof fell in. John sold the property in 1806 for $1200.00 to Nathaniel Ireland, the husband of his niece Sally Prentice, and "a prosperous artisan of Boston, provider of iron-work for ships." See C. H. Baker: The Story of Fay House. Note: The area described above can be seem more clearly in the larger scale map by clicking on the "Common". This page is maintained by PrenticeNet. Last updated 21 June 1997.